Enjoy getting stronger and more flexible with Customized pilates session. You'll receive exercises to strengthen your core, improve posture, and bring your body back to balance, in a calm environment. Challenge yourself on your choice of studio equipment including: reformers, trapeze table/Cadillac, ladder barrel, springboard, split-pedal Wunda chair, arcs, orbit, and rollers. Share the fun of your workout with a friend! Please note that duet pilates equipment sessions must take place after the hours of 12:00 on weekdays, and not between the hours of 9:00 am-12:00 pm weekday. Start getting stronger and feeling better with floor-based pilates exercises performed on the mat. Emphasis on posture-improving exercises, core, strengthening commonly weak muscles, and stretching commonly tight muscles. This is an ideal for students trying to maintain strength and flexibility with an at-home or travel exercise program. Customized yoga session generally including postures, breathing, and meditation. We know you are so busy doing for others, that we provide a safe, accountable haven for you to challenge the body while calming the mind. Have fun with others, increase your accountability to make time for you, and decrease your cost with a semi-private session. This ancient tradition combines passive stretching & massage, leaving your body and mind relaxed & renewed. Relax while Erin stretches the tension away. We provide pilates or yoga to you or your group at your location. The infrared heat penetrates deeply into your body to relax sore muscles & alleviate pain. ​*NEW FOR 2019* Remote Training-Find out more! You want Results: We know you're and it's hard enough to take time out to help yourself. You want a safe, strengthening, lengthening workout that calms your mind. We are here to serve you. We will provide customized, effective, alignment-oriented movement, and encourage you to listen to your body. We want to help you feel strong, flexible, balanced. When your body, mind, and breath feel healthier, you feel lighter and more radiant. Join us now to reconnect to that beautiful, strong, inner self. You value Quality: Our trainers undergo extensive education (the minimum program involves over 400-hours of education before even being allowed to apply for certification), including hands-on apprentice teaching, observation, and workshops to provide you with quality service. 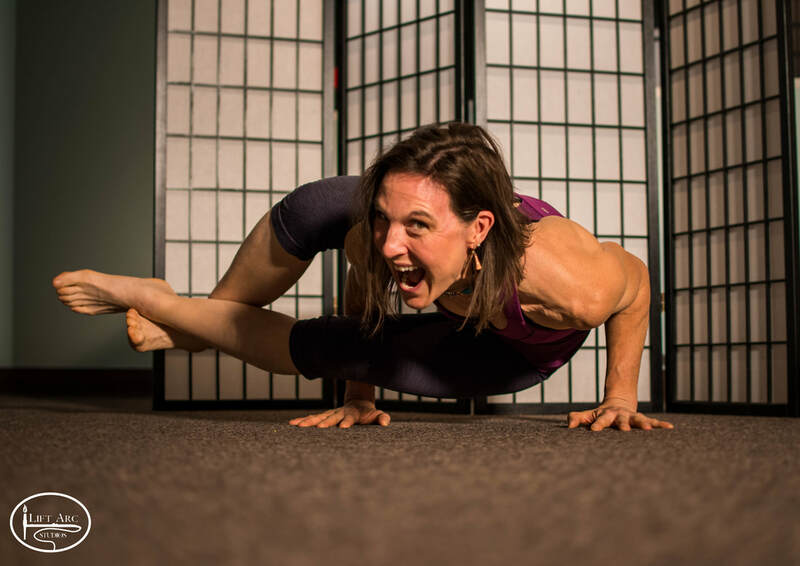 In addition to having her Master's in Exercise Science and B.S Kinesiology, Erin is The Master Balanced Body Pilates Trainer in the Appalachian area and has attracted student-teachers from NY, LA, NJ, as well as NC, VA, MD & WV to her instructor workshops. What's it like training on Pilates equipment? Click below to see how we can help you get Stronger, Leaner, & Calmer. Please sign up to receive our FREE video 6 POSTURE TIPS TO LOOK & FEEL YOUNGER, and other fitness & pain relief tips, videos, and newsletter!